We've been lectured for years now about the dangers of using mobile phones while driving. Mobile companies and auto makers are integrating more robust and universal speech commands, carriers and others are exploring safety text/email-call blocking safety features, and as many as 39 states have passed laws that prohibit or restrict the behavior. Sounds like a decent effort. Unfortunately, none of it seems to be working. According to the Los Angeles Times, a new federal survey released by the Department of Transportation — of 6,000 people ages 16 and older — shows that at any given moment 660,000 drivers are looking at their phones instead of the road. That is both shocking and not. Unlike drunk driving, this behavior hasn't been vilified the same way. A person with a penchant for getting tipsy and hopping in the driver's seat, or racking up several DUIs, might be called out as a dangerous alcoholic or even a public menace. But calling someone a phone addict? For crying out loud, who isn't these days? Organizations like M.A.D.D. and S.A.D.D. are effective because they put human faces on the tragedies that drunk driving leaves in its wake. And those horrifying or heartbreaking stories have a far reach, getting passed around all over the Internet and on TV. (Indeed, these groups specialized in viral content before there was even a term for it.) Society learned to look down on drunk driving, and that social pressure contributed to the decline of reported incidences, accidents and deaths. In general, the numbers are down and in Boston, for instance, DUI arrests have practically been wiped out. 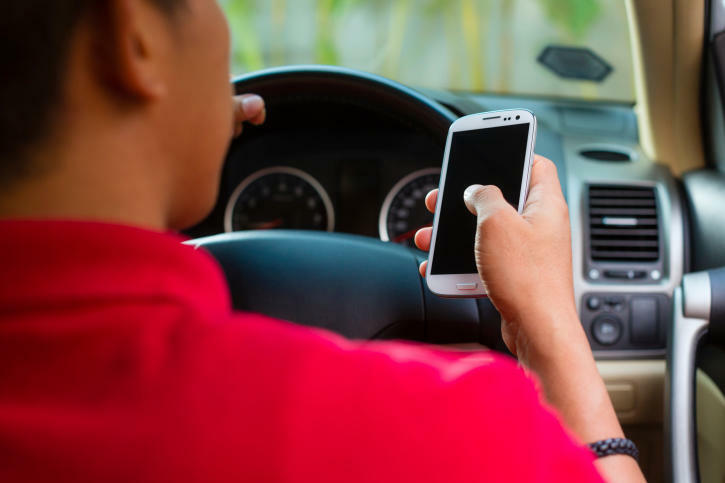 In contrast, when it comes to distracted driving due to mobile phones, the National Highway Traffic Safety Administration says there has been no discernible reduction at all over the past few years. Is it because, even if not legally, it's still at least socially acceptable? If so, then nothing short of public shaming will get this tide to turn. That, plus stiff penalties…that is, assuming there's a better way to catch lawbreakers. At this point, says Jeff Larson, president of Safe Roads Alliance in Boston, "Police are finding the laws on distracted driving difficult to enforce." Cultural and societal influences do seem to play a part. Internationally, Americans are apparently the worst offenders — a CDC survey revealed that nearly 70 percent of U.S. drivers ages 18 to 64 talked on their phones while driving, whereas just 21 percent admitted they did in the U.K. And the U.S. participants were twice as likely to read or send texts as Spanish drivers. What do you think it would take to get people to stop using their phones while driving? Will better alternatives, like emerging mobile/automobile technologies, help minimize the behavior, or will it take nothing short of societal pressure and tough laws? Tell us what you think in the comments.